Polar Bear - The world's largest land predator also known as ‘Lords of the Arctic’. 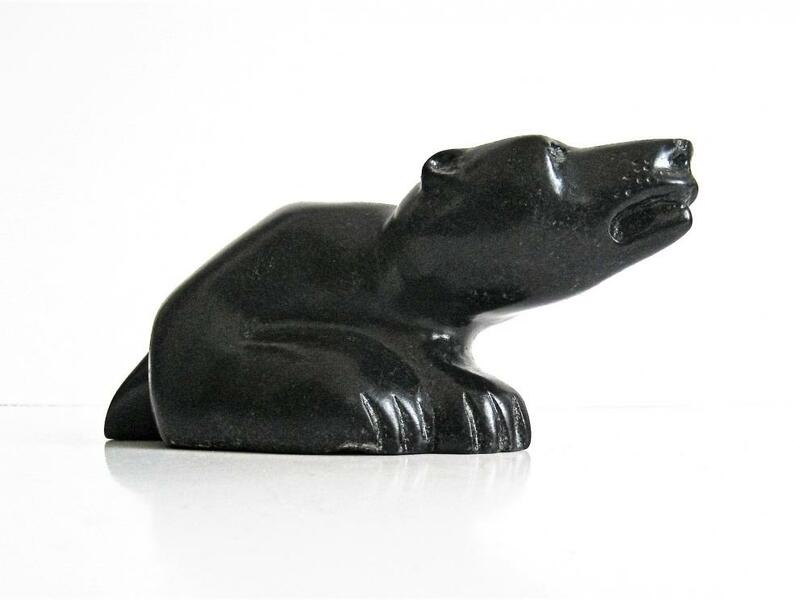 The carving is of black soapstone and is unsigned. 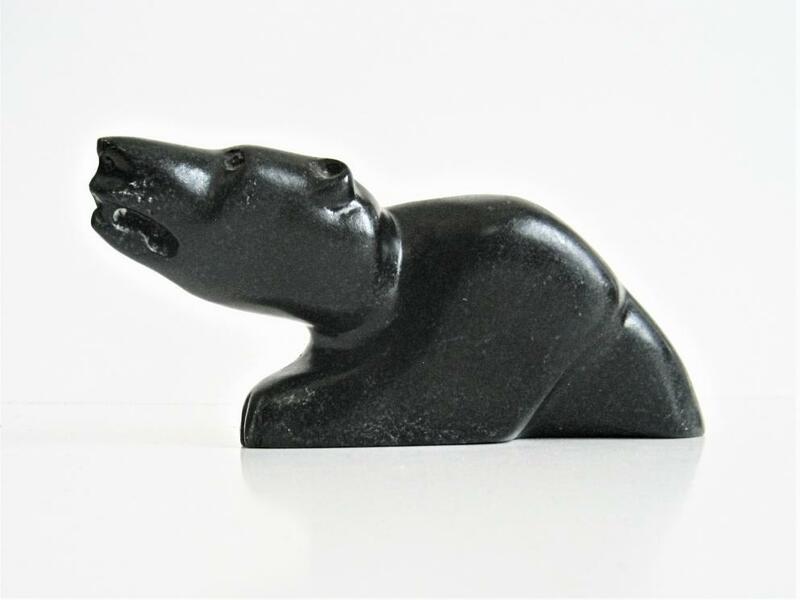 Purchased from the Inuvialuit Regional Corporation in 2007 in Inuvik, this abstract carving is part of a collection accumulated while working for the Inuvialuit Game Council in Inuvik, Northwest Territories. 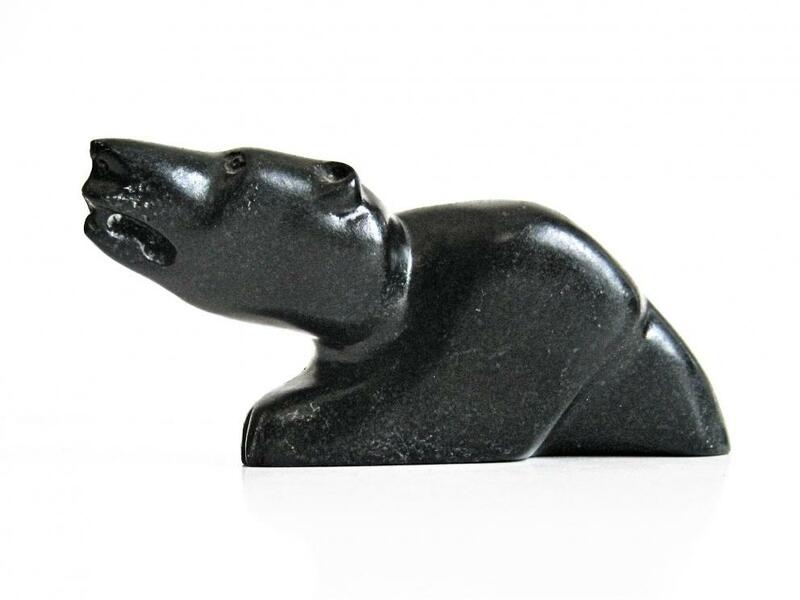 The carving is of black soapstone and is unsigned. The figure is 8” long by 3.” high and 3” wide. The total weight is 2 lbs 13 oz.